﻿ Shot Online - What is Special Happy Course? Home » Guides » Shot Online - What is Special Happy Course? What is Special Happy Course? Special Happy Courses is a feature that can be found as a separate tab that is accessible during course-selection. There are three types of Special Happy Courses: EXP, NG, and Increase Drop Rate for special items. Special Happy Courses are selected randomly from 9 Normal courses and 10 Hard Courses. You can play maximum 40 holes per day in this course. Once the hole count is down to 0 you can re-charge the amount of holes up to 20 by spending 3 million NG per hole. The EXP course changes every Monday and Thursday at the same time. 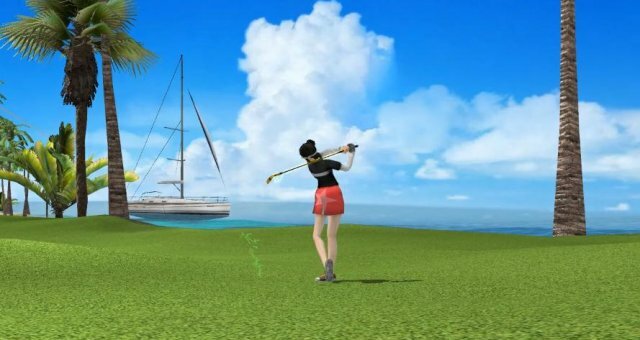 Players with Luxury Membership can play 80 holes instead of 40, and can re-charge the amount of holes up to 20. Luxury Ticket Boxes can be bought through the In-game Item Mall. Players cannot re-charge holes 1 hour prior to the special happy course rotation time (1AM). The amount of additional EXP earned cannot be overlapped with other EXP events except for game mode events. You can play a maximum of 18 holes per day in this course. Unlike the EXP Special Happy Course it is not possible to re-charge the amount of holes after the hole count is down to 0. You can play an unlimited number of holes in this course. The drop rate of special items within this course increases by 20%. You can receive a box item for scoring a hole in one once per day while playing the Special Happy Course. After completing 18 holes with 4 players and score below par -57 on the Special Happy Courses, you can receive a Special Happy Course I box on normal courses and a Special Happy Course II box on hard courses once per day per character. The number of holes played for EXP and NG Special Happy Courses are counted per account, not per character. Courses are randomly picked among 9 normal courses and 10 hard courses. Courses for Special Happy Course change every Thursday.